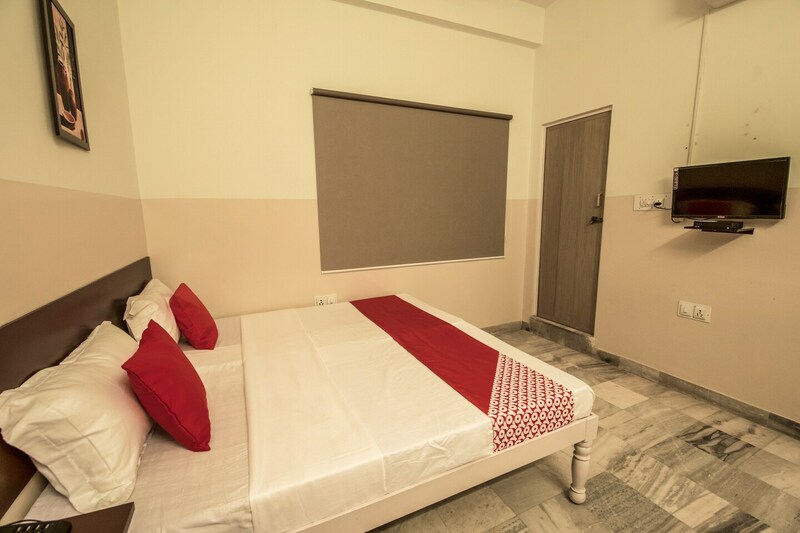 Hotel Satya Regency is a famous name among the travelers visiting Jaipur and looking for good accommodation facilities within a pocket-friendly price range. The rooms have been decorated painstakingly and a lot of attention has been paid to minute details. All rooms have been provided with large windows which allow the guests to enjoy some fresh air and loads of sunshine. The rooms have also been decorated with paintings to uplift the mood of the guests. The additional facilities provided by the hotel are free Wifi, a common kitchen, and CCTV cameras. The front desk service can be easily located and is managed by experienced staff who cater to different requirements of the guests.